HTIWs are produced synthetically from mineral raw materials. There are some important differences between natural fibres and Man Made Mineral Fibres. Besides the differences in the chemical composition, MMMF do not have an organised crystalline structure in the same way as many naturally occurring fibres and as such do not break in the same way, The fibres fracture across the width to create shorter fibres of the same diameter rather than long fibres of thinner diameter. 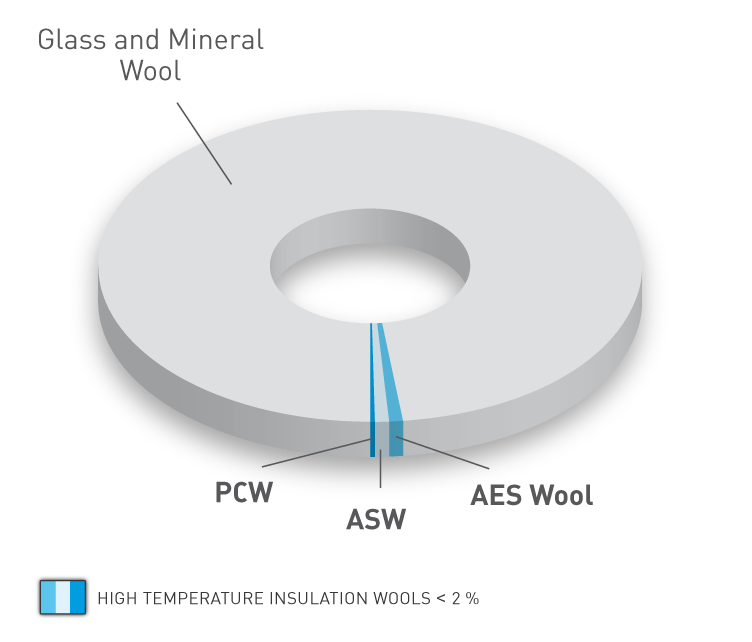 However, as their name suggests, HTIWs are used at much higher temperatures (typically from 600 °C to 1800 °C) than most other glass and rock wools. 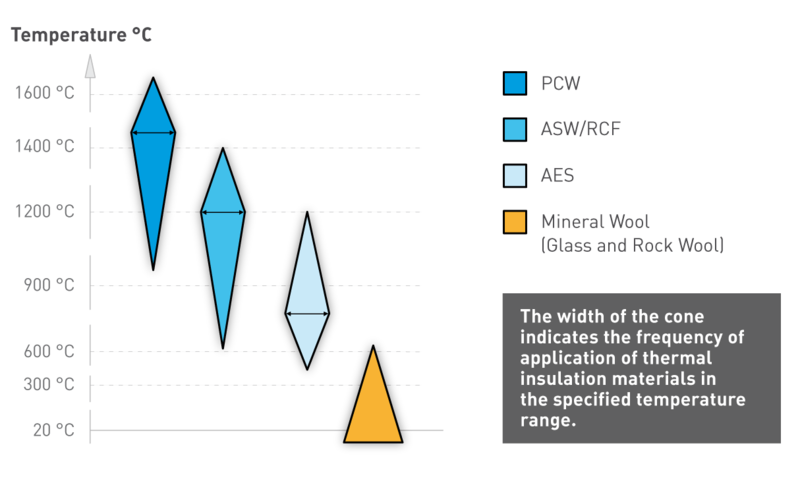 High Temperature Insulation Wool is often compared to Asbestos.